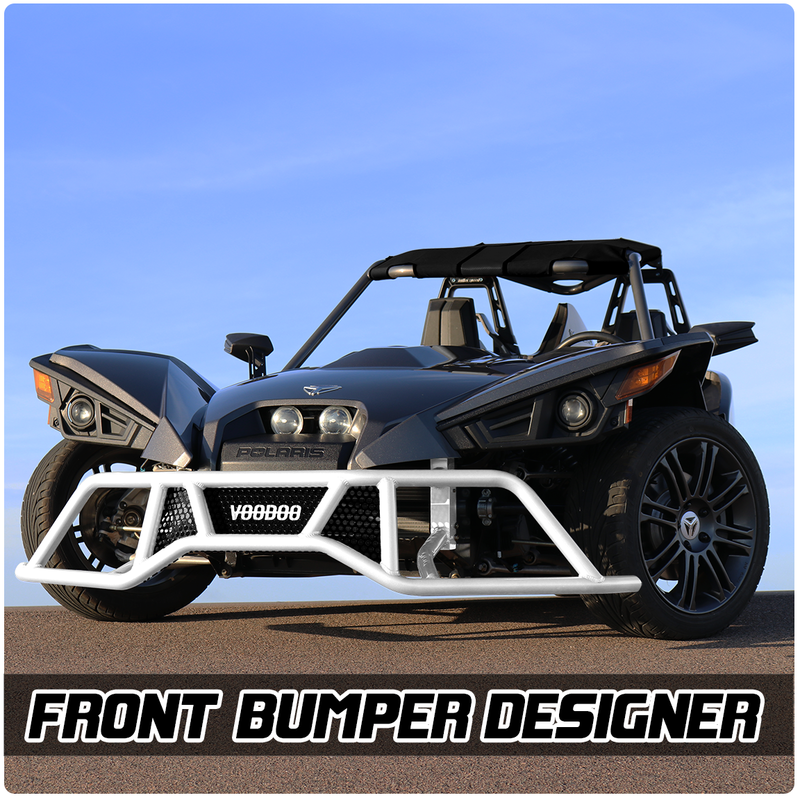 VooDoo Fab & Bullet Speed and Design have teamed up to launch the first front bumper system for the Polaris Slingshot. Not only does this product increase safety but bolts up directly to you factory front end mounting holes for an easy installation and a dramatic facelift. 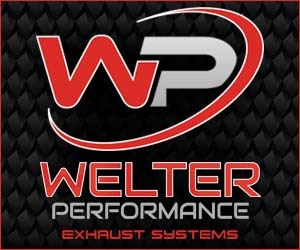 The product is constructed of tubular aluminum and is completely customizable utilizing our online designer. Our designer lets you select two different colors, one for the front bumper itself and one for the included grille to allow you to see what the product will look like before clicking the buy button. Edited 2 times, last by slingmods ( Sep 1st 2017 ). Can it be ordered without the "Voodoo" logo on the grill? Any chance that it can be offered with an extended grill to cover the sides? Also compared to the stock front end how much extra clearance do you get since it was mentioned that this helps with front end scrapping. What is the weight of this vs stock? That's about $1000 of ugly. Sorry but glad some one said it @Maverick5990 I know a lot hard work go in to these mods but some mods really make me say why. It changes the whole front of the slingshot which is was attracted me to the sling .i still can't believe you guys are trying to reselll that death trap hey call a full enclosure dying to see one up in person and wish I could drive in one I just wanna hear how much all that plastic moves around when on some roughy roads. 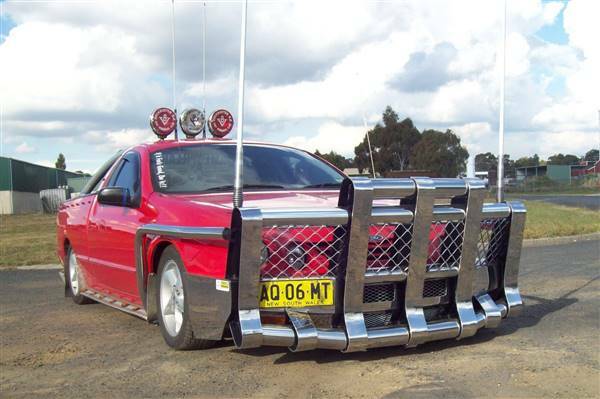 I see this bumper being heavily discounted down the road. My biggest concern would be all the air that would not longer be deflected away and collects under the hood. But that is what makes this such a cool toy - you can have it your way! I just finished putting mine back together with new parts two days ago. I am going to look into this though. The aerodynamics would definitely be impacted. And there are tweaks I could be seen to make it look better...but all in all...I think it's a really interesting piece that lends itself to the look of the latest "Hoonigan" trend. certainly is a different look, but it serves a purpose , it may be of interest to a guy who has destroyed his lower front spoiler and is pricing one new from his dealer , this one might appeal to him as an alternative solution then . I'd be more concerned about the wind getting up under the fenders and lifting lol. Kind of a big deal especially in Colorado where the wind is pretty constant. I love that new and different things are always coming out for the Slingshot there is no doubt that this is one of the most personalize able toys a person could own. Yes it can be! We are updating our builder right now to include a logo delete! Should be up shortly!